Today, Balochistan is bleeding. Pakistan is fighting its “other war”. Its military and security establishments are continuously at war either with the Baloch nationalists or with the separatists. It is an unending war since 1947 when the Pakistan Army forcefully annexed the province to the country. Pakistan’s Baloch puzzle has its own negative repercussions for the country which is fighting for its survival since its independence. Balochistan needs immediate attention. To be honest, the people of Balochistan have suffered both at the hands of the Federal and provincial Governments as well as their own dear chieftains and sardars for decades. At times the Baloch sub-nationalists try to thwart developmental efforts made by the Federal Government because these do not serve their agenda. But then who will take the responsibility of the ordinary Baloch people? It would be really sad if the province remains a permanent fault line, as it seems today; its people will have to suffer both for the mistakes of the Pakistani establishment and for their own leadership. Why has Pakistan so far ignored the welfare and development of Balochistan? Being the largest province of the country and having rich reservoir of natural resources, Pakistan should have taken the task of developing the province even long back. The Baloch nationalists blame the Federal Government for its sheer negligence of their mineral rich province and the Pakistani establishment holds the insurgents responsible for its underdevelopment. But how long will this blame game continue? Who is suffering at the end? When the entire world is moving beyond its borders, there are only a few places like Afghanistan, Pakistan, North Korea, and a host of African nations which are still stuck with their war-mongering spree and purposefully thwart the welfare of their own people. To be precise, these countries are simply ruining their own futures and making generations handicap for the greed of a few individuals or a section of elite who always wish to cling on to power forever. When it comes to Balochistan, it is Pakistan’s Army which is controlling its affairs and designing the future strategies for containing the Baloch separatists. Sadly, the Army is viewing it as a simple law and order problem. Thus, the conflict in the province is dragging on and on. Simultaneously, the local leaders must think about their own people who are just sandwiched in the fight between the Pakistan Army and the nationalists. It is no one else, only the ordinary civilians who are caught in the quagmire and laying their lives with a hope of a better living. But when will they be allowed to lead a life of their own choice? 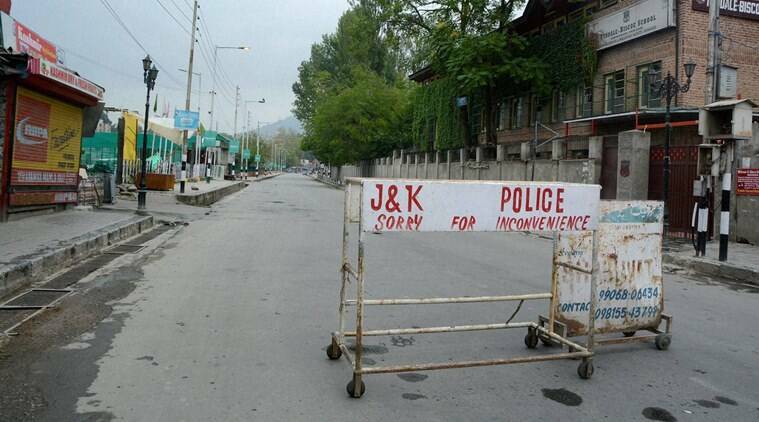 Kashmir has been under curfew for nearly 50 days. This curfew will, inevitably, risk a new cycle of alienation, brutalisation and deprivation. There is a desperate search for small consolations. It is a failure of our political imagination that it took an army commander to remind us of the banal truth that at least all parties need to be talking to each other. We may console ourselves, as Chief Minister Mehbooba Mufti seems to claim, that only five per cent are responsible for this agitation. But we should not deny the fact that this agitation is geographically unprecedented. The state’s assumption that an informational clampdown will reduce the protestors’ ability to organise seems to have been deeply mistaken. The ability to perpetuate a cycle of violent provocation and counter provocation remains unabated. Fatigue may produce a fragile peace. But the suffocating logjam that has produced this crisis is not likely to abate in the absence of political boldness. Platitudes are all back in play. But these platitudes may mark a strategy of avoidance rather than heralding a new breakthrough. Take the oft cited trinity: Kashmiriyat, jamhooriyat, and insaaniyat. When Vajpayee invoked them, they were a good starting point. But now they sound more like metaphysical abstractions unmoored from actual politics. Invoking them seems more like begging the question. Kashmiriyat has now mutated in ways that its meaning is not clear. Who will it include and exclude, and on what terms? There is no question, as this column has argued, that the Indian state has unconscionably failed in Kashmir. Its legitimacy is tenuous at best, a legal artefact secured by brute force. But normatively speaking, the very thing that makes us suspicious of hyper Indian nationalism should also make us suspicious of sub-nationalisms. The Iraqi government has fired its defense minister at a highly inopportune time. On Aug. 25, the Iraqi National Assembly moved against Defense Minister Khaled al-Obeidi in a vote of no confidence, held in secret because of continued political haggling aimed at preventing the decision. Of the 262 lawmakers who participated in the vote, 142 elected to withdraw confidence in al-Obeidi, who has been repeatedly accused of corruption. According to the Iraqi Constitution, the absolute majority reached will trigger the minister's immediate resignation. Al-Obeidi gained the bulk of his military experience serving as an officer in the Iraqi air force under Saddam Hussein. Hailing from Nineveh province and belonging to one of Iraq's most important Sunni tribes, al-Obeidi specialized in engineering aircraft engines until he accepted a job in 2003 as a professor in the Ministry of Higher Education. Four years later, he became a member of the Ministry of Education's Technical Education Authority, and in October 2014, Prime Minister Haider al-Abadi appointed al-Obeidi to his ministerial post. During al-Obeidi's tenure, the Iraqi parliament has twice opened investigations into corruption charges against him regarding defense procurement contracts. In the course of the second investigation, al-Obeidi openly accused several lawmakers and the parliamentary speaker of trying to blackmail him to secure contracts of their own. But after reviewing the case, Iraq's judiciary released the parliamentary speaker citing a lack of evidence, and a number of lawmakers demanded a vote of no confidence be held against al-Obeidi. The principal proponent of the Third Offset, Deputy Secretary of Defense Robert Work, has declared the Department of Defense has undertaken the initiative to secure and enhance the “competitive advantage of our American forces and our allies over the coming decades.” If the initiative fails, the United States runs the risk of undermining its credibility and greater instability around the world. The purposeful pursuit of innovation is laudable, but this initiative runs the risk of concealing a more fundamental structural problem. According to Work, the Third Offset is simply the successor to preceding strategies whereby DOD addressed security challenges by capitalizing on technological advantages. In the First Offset, the Eisenhower Administration embraced nuclear weapons as the means for deterring the Soviet Union from attacking Western Europe. In the Second Offset, the Carter and Reagan Administrations exploited breakthroughs in precision guidance to ensure American conventional forces would remain a credible deterrent after the Soviet Union finally attained parity in nuclear weapons. The result was the stunning American victory over Iraq in the 1991 Persian Gulf War. The seemingly conclusive narrative, however, conceals a factor common to both of them -- extant manpower considerations. To his credit, Work acknowledges the impetus for the first offset flowed from the Eisenhower Administration’s appreciation for the obvious -- that the American military was numerically inferior to that of the Soviets’. Is Assam The Next Target For Jihadi Terror? Who was behind the attack in the Kokrajhar district? Some call it the handiwork of the banned National Democratic Front of Bodoland while others point out that the modus-operandi is similar to that of the attacks of Islamist terrorists. On 5 August, Assam witnessed a new kind of terrorism, seemingly inspired by Islamist terrorists. The armed militants, on that fateful day, opened fire and also lobbed a grenade over civilians in broad daylight in Kokrajhar. The post-incident confusions just mounted on the speculation about the external element’s involvement in the massacre. The gory incident left 14 civilians dead and over 25 wounded while a gunman was also killed by the State Police and Central Armed forces at the Balajan Tiniali weekly market of Kokrajhar district. Among the victims, there were eight from the Bodo community and two from the Nath community whereas four were Muslims. The slain militant was identified as Manjay Islari alias Mwdan. According to the additional Assam Police Chief L.R. Bishnoi, a group of three gunmen arrived at the location and started indiscriminately firing over the market crowd. The security personnel succeeded in neutralising Manjay on the spot, from whose possession one AK-56 rifle, a mobile phone and two SIM cards with a Chinese grenade were recovered. Defense Ministry spokesman Lt Col Suneet Newton stated - “the Army had launched a massive combing operation, pressing into service specialised troops and tracker dogs” in the locality. Assam Police Chief Mukesh Sahay termed it as the handiwork of the banned National Democratic Front of Bodoland (NDFB)— the I.K. Songbijit faction— though the character of the terror attack was different from their earlier disruptive activities. His version was echoed by Assam Finance Minister Himanta Biswa Sarma and the Bodoland Territorial Council Chief, Hagrama Mohilary. A government that prides itself on using technology should ensure that technology innovation is not smothered at the altar of appeasing sub-scale, often sub-standard, incumbency. Technological advancements and regulations have had an uneasy coexistence in most countries. What constitutes the “Goldilocks regulation” for technology firms, especially start-ups which transfer economic surplus of a complex value chain to the consumers, is a hotly contested topic. The views on this subject cover a wide range. In Silicon Valley, it is not unusual for the industry stalwarts to resist any regulation at all. The problem of regulatory capture thwarting innovation has found resonance in statements made over the past few years by Steve Jobs, Elon Musk and Bill Gates. In India, the emergent focus on “Ease of Doing Business” often shines the spotlight on the mismatch between top-down open vision and the bottom-up business execution challenges. On 30 July, Amitabh Kant— the CEO of NITI Aayog and a top bureaucrat in the Modi government— tweeted: Govt must change with changing times. Technology will always be ahead of rules & regulations. Rules must b altered. And yet, despite this recognition that technology will always outpace regulation, the reactionary approach of governments at various levels in India to disruptive changes is to throttle them. Nowhere is this phenomenon more starkly observed than with the regulation of the app-based cab services. Cabs have been a highly regulated, revenue-generating service with high entry barriers in all large cities globally, not just in India. In 2013, financial blog Zerohedge reported that New York City taxi medallions, which represented the right to operate hail-cabs, were the best returning asset class in the preceding 12 months. Why Pakistan's nuclear threat is nothing but hot air India's muscular policy on PoK and Balochistan will make Islamabad resort to empty sabre-rattling. If you think Indian media is biased, take a look at American media: it's leagues ahead in prejudice. A flashback is necessary. India had just tested a nuclear device at Pokhran in May 1998. We were on holiday with the children in New York. The news of the Pokhran nuclear test came in that afternoon, US time. Surfing the news channels, I was shocked at the tone of the reportage. On CNN, ABC, CBS, NBC and Fox, anchors hectored India for this unpardonable sin. 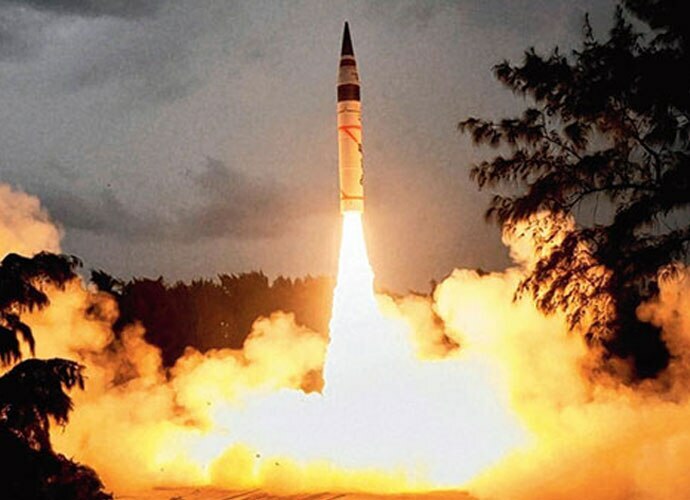 How dare India, a non-NPT member, test a nuclear device? The Indian point of view was totally absent. American nuclear experts, security officials and defence hawks all came together on TV to denounce India. President Bill Clinton was urged to impose immediate economic and technology sanctions on India (which he did days later). Annoyed by the one-sided coverage, I called CNN. "Get an Indian version on your programme," I said to someone in the newsroom. India's nuclear-capable Agni 5 ballistic missile. They had no idea whom to contact. "Talk to the Indian ambassador Naresh Chandra in Washington," I suggested. "You need balance in your story." Eventually the network did get Chandra and other Indian viewpoints on air but the coverage remained skewed. While president Clinton was a friend of India, Atal Bihari Vajpayee had been prime minister for just two months. The two leaders hadn't yet developed a rapport. Indian diplomacy was lacklustre and defensive. In Washington, India lacked clout. American newspapers were as biased as the TV networks. The New York Times and The Washington Post harangued India over the nuclear test. The tone was febrile. Having spent a few days persuading the networks to broadcast the Indian view (and doing some of my own haranguing to make sure they did), we returned to India. The children's school holidays were over and I had to get back to work. Back home, the reaction to the nuclear test was euphoric. But there was bitterness over the hostile reaction in the West, especially in the US and Britain. And yet, like our diplomats, Indian media remained defensive. Even the US economic sanctions evoked only tepid criticism. I called the editor-in-chief of The Times of India under whom I had trained years ago. He told me to quickly write a strong op-ed on the Indian nuclear test and the West's reaction to it which he agreed smacked of hypocrisy and arrogance. "India's nuclear test has shaken the edifice of nuclear hegemony carefully constructed by the five 'original' nuclear weapon powers (the P-5). Their duplicity in denying the same right to other countries - a responsible nuclear weapons programme - that they arrogate to themselves stands exposed in the glare of international debate that will now increasingly focus on the P-5's double standards. "By testing its nuclear device, India broke no laws, domestic or international. It is the P-5 nations who have been in consistent breach of the law by reneging on two of their legal obligations under the nuclear non-proliferation treaty (NPT). First that they would not abet the transfer of nuclear technology to a third country (China did so clandestinely to Pakistan, Iran and North Korea). And second that they would work towards eliminating their own nuclear arsenals. "Strategically, India was absolutely justified in pursuing its nuclear option to a logical end - testing and eventual weaponisation." When I worked as a counterterrorism analyst for the CIA, I always looked out for signs of terrorist groups adapting their methods. Now, as someone outside of government who analyzes how nefarious groups fund themselves, I am concerned about terrorists using innovative technologies to bolster their finances. And I recently came across a troubling case of terrorist financial innovation. The Ibn Taymiyya Media Center (ITMC), an online jihadist propaganda unit based in the Gaza Strip, is running a social media fundraising campaign that is the first publicly verifiable instance of a terrorist group using bitcoin. Although the campaign has not yet raised much digital currency, this effort shows how terrorists are experimenting with new financial technology to expand funding. ITMC is the media wing of the Mujahideen Shura Council in the Environs of Jerusalem (MSC), a collection of Salafi-jihadist groups in Gaza that is designated by the U.S. State Department as a foreign terrorist organization. Although the MSC mainly targets Israel, its leadership also supports the Islamic State (IS), and Treasury designated the MSC deputy head in February 2016 for facilitating financial resources and foreign fighter travel for IS. The group’s videos feature high-quality production, showcasing its training, bomb making, and explosives testing. ITMC’s online campaign Jahezona (“Equip us” in Arabic) began in July 2015 (see this interactive timeline). It calls for Muslims worldwide to donate funds, arguing that such donations fulfilled a religious obligation to fight for Islam. The campaign regularly posts graphics showing the group’s desired weapons and ammunition, alongside the cost for each. Initially, most posts pointed followers to an email address or an account on the encrypted messaging platform Telegram as a way to communicate securely. The Islamic State (ISIS) group, which has been building a presence in Afghanistan for more than a year, has established a recruitment and training camp in a restive southern province bordering Pakistan, Afghan officials said. Last year, hundreds of insurgents fled to Afghanistan from neighbouring Pakistan, where the military launched a campaign to clear militants from the lawless tribal regions in the country’s north. Among them were members of the Islamic Movement of Uzbekistan, who joined forces with local Taliban fighters to attack northern Afghan cities such as Kunduz, which was briefly overrun in September. ** Don’t shoot the messenger: are social media giants really “consciously failing” to tackle extremism? MPs today accused social media companies of failing to combat terrorism, but just how accurate is this claim? Today’s home affairs committee report, which said that internet giants such as Twitter, Facebook, and YouTube are “consciously failing” to combat extremism, was criticised by terrorism experts almost immediately. “Blaming Facebook, Google or Twitter for this phenomenon is quite simplistic, and I'd even say misleading,” Professor Peter Neumann, an expert on radicalisation from Kings College London, told the BBC. “Social media companies are doing a lot more now than they used to - no doubt because of public pressure,” he went on. The report, however, labels the 14 million videos Google have removed in the last two years, and the 125,000 accounts Twitter has suspended in the last one, a “drop in the ocean”. It didn’t take long for the sites involved to refute the claims, which follow a 12-month inquiry on radicalisation. A Facebook spokesperson said they deal “swiftly and robustly with reports of terrorism-related content”, whilst YouTube said they take their role in combating the spread of extremism “very seriously”. This time last week, Twitter announced that they’d suspended 235,000 accounts for promoting terrorism in the last six months, which is incidentally after the committee stopped counting in February. When it comes to numbers, it’s difficult to determine what is and isn’t enough. There is no magical number of Terrorists On The Internet that experts can compare the number of deletions to. But it’s also important to judge the companies’ efforts within the realm of what is actually possible. “The argument is that because Facebook and Twitter are very good at taking down copyright claims they should be better at tackling extremism,” says Jamie Bartlett, Director of the Centre for the Analysis of Social Media at Demos. Has the Pentagon’s Office of Threat Assessments (OTA) Gone to the Dogs? The Pentagon’s storied Office of Net Assessment (ONA) is coming under fire from critics inside the military and in Congress for failing to produce more of its signature product, namely, top-secret net assessments. Instead, the office, whose director reports directly to Defense Secretary Ashton Carter, has focused its $20 million annual budget mainly on producing outside research projects, some of them of questionable value, according to critics. Net assessments are very secret, in-depth analyses that compare U.S. weapons, forces and policies with those of other countries. The assessments, usually running 100 pages or more, also seek to forecast military and strategic trends. Unlike intelligence assessments, net assessments include the most secret details of American vulnerabilities and weaknesses, and thus very few net assessments have been made public. Doing so might provide U.S. enemies with a road map to defeating the military in a future conflict. Proponents argue that net assessments are essential because they help thePentagon define strategies, guide roles and missions, and outline remedies for war fighting gaps. 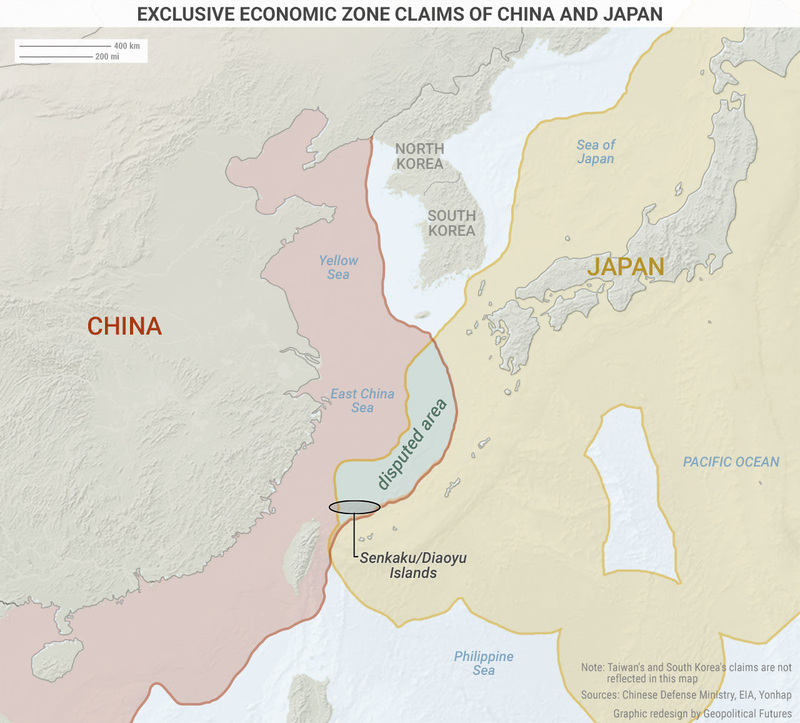 Without net assessments, foreign threats like those posed by revanchist Russia and increasingly aggressive China are often played down as not posing strategic challenges for the United States. Pentagon spokesman Army Lt. Col. James Brindle did not respond directly when asked whether ONA has produced net assessments in decades, but told Inside the Ring: “The Office of Net Assessment has sponsored considerable outside research. It provides net assessments when needed or requested by the secretary” and the chairman of the Joint Chiefs of Staff. Mr. Brindle said any discussion of the contents or timing of net assessments “would defeat the purpose of meeting the secretary’s guidance.” He did not elaborate. Moscow’s position in the region is not as dominant as it might seem. Over the past several months, media reports have made it seem like Russia’s influence is growing in the Middle East. After all, Russian air support helped Syrian President Bashar al-Assad’s regime regain the upper hand against the rebels in Syria. Then, Turkey suddenly and intensely moved to improve ties with Russia – at a time when Turkish-American relations have deteriorated. Finally, and most recently, Russian strategic bombers conducted airstrikes in Syria after taking off from an Iranian air base. Criticizing the decision to allow Russian aircraft to use the Shahid Nojeh air base, the lawmaker remarked that whenever Iran was faced with a crisis, Russia had sided against it. The Iranians are well aware that Russia views Iran as a bargaining chip for extracting concessions from the Americans. Indeed, Russia supported the most recent wave of U.S.-led crippling sanctions against Iran in 2012 and for many years delayed the supply of the S-300 missile system to Tehran. Europe is heading towards a "cataclysmic event" that could lead to the collapse of the euro and the end of the European project as we know it, according to Nobel prize-winning economist Joseph Stiglitz. In an interview with Business Insider following the launch of his latest book "The Euro: How A Common Currency Threatens the Future of Europe" — which argues that the European single currency will inevitably cease to be at some point in the future unless drastic changes are made — Stiglitz said that a "disastrous" political event similar to the United Kingdom's decision to leave the European Union could trigger such a collapse. "I think the most likely thing is something along the lines of a political cataclysmic event like Brexit. In other words, the eurozone’s member countries are democracies and one sees increasing hostility to the euro, which is unfortunately spilling over to a broader hostility to the broader European project and liberal values," Stiglitz told BI from his office in New York. Stiglitz continued: "That’s going to be the end. What’s going to happen is that there will be a definite consensus that Europe is not working. The diagnosis will be to shed the currency and keep the rest, or that Europe is not working and a broader rejection — like in the UK. "So my worry that this is precisely that kind of political event [something like Brexit] is that is what will be the catalyst for change." Asked if he believed that the ongoing problems — both politically and economically — in Italy could trigger such an event, Stiglitz agreed, saying: "That is a big risk. Many people are now trying to work with Matteo Renzi [Italy's prime minister] to have him climb down from his commitment that he will resign if his referendum fails." Renzi has frequently reiterated that he will step down as prime minister if he loses the referendum, in a move that would mimic British PM David Cameron's resignation following the EU referendum in June. As it stands, Stiglitz argued, the referendum is "not just a referendum on the constitutional changes, but also on Renzi. "Although Renzi is adamant that he and his government will succeed in their aim of reforming Italy's senate, saying in a recent interview "I will win" — Stiglitz believes that the best option for the future stability of Europe would be for the referendum to be abandoned. "[There is an argument] to make him even step down from holding the referendum and say that the Brexit has led to a whole change in the debate about the future democracy in Europe, and that we need to re-examine those terms." Commentators have often compared the recent Great Recession of the United States and Europe to the Great Depression of the 1930s. In both cases, asset prices tumbled, financial systems turned insolvent and demand plummeted. One difference is that in the recent case, we mounted a swifter rescue effort than we did in the 1930s; for instance, Ben S. Bernanke, as chairman of the Federal Reserve in the recent crisis, drew upon his academic research in supporting bailouts and reflating the economy. This comparison is intriguing, but we may be neglecting other, less obvious and yet more unsettling historical parallels for today’s global economy. For all the talk of the Great Depression, we might look at a different exemplar for modern times, 18th- and 19th-century economic history India. That country’s economic retrogression during that era may help us understand the quandary that some parts of the world face today. In 1750, India accounted for one-quarter of the world’s manufacturing output, but by 1900 that was down to 2 percent. The West became more productive as a result of the Industrial Revolution, and India lost much of its leading export sector, textiles. While the data is fragmentary, the best estimates show that India’s living standards declined through the middle of the 19th century and that its economy retrogressed, even as it borrowed some technological improvements from the West. India just didn’t do enough to move toward production on a larger scale or with better machines. This story of India’s loss to foreign competition is documented in “Deindustrialization in 18th and 19th Century India,” a paper by David Clingingsmith, an economics professor at Case Western Reserve University, and Jeffrey G. Williamson, an emeritus professor of economics at Harvard. 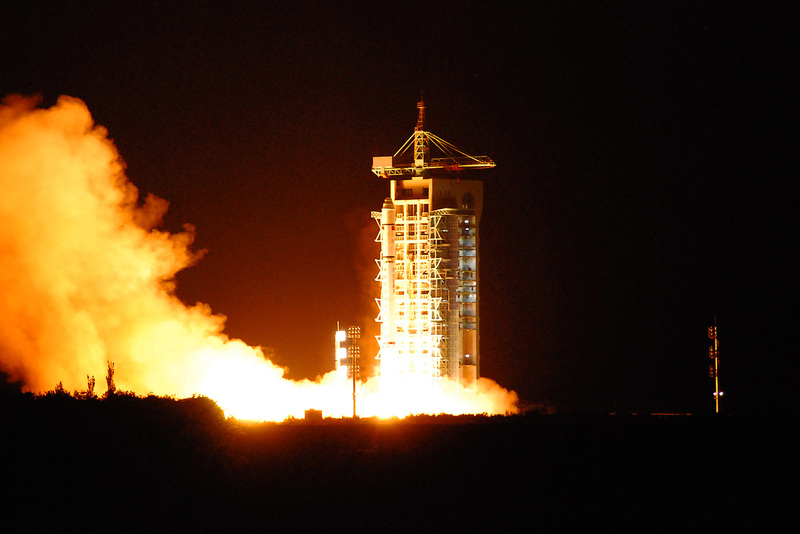 Beijing’s recent quantum satellite launch gives us a glimpse at the future of secure communications. Both countries will continue to dance around the disputed islands issue. Hackers hunt for them and governments around the world use them to carry out spy operations. What are zero-days and why are they increasingly valuable? The National Security Agency practice of finding and hoarding zero-days – previously undiscovered security flaws in computer products – is generating a new wave of criticism from security researchers and tech companies. That's because an unknown group calling itself the Shadow Brokers recently dumped a cache of hacking tools that contained several zero-days. Many experts and former agency employees have said the tools originated from the NSA. Since several of the leaked tools target software bugs in security products widely used by American businesses, forcing at least two vendors to rush out fixes for affected products. The leak is also resurfacing long-standing questions about the wisdom of the NSA – and other defense and intelligence agencies – hoarding information on zero-day flaws. It's an ongoing tension between the government's desire to keep valuable intelligence-gathering tools a secret and disclosing security flaws to companies so their users are no longer at risk. Analysis: From IP smokescreens to political espionage - CBR separates fact from fiction in the recent surge in attacks purportedly from Russia. Hackers have certainly been pushed front and centre into the public eye recently. The New York Times, the World Anti-Doping Agency, Hilary Clinton and the Democratic National Convention are just a few of the high-profile names and organisations who have fallen victim to a cyber attack. Not only have they all fallen victim to hacking, but they are all said to share the same perpetrator(s) – hackers that seemingly originate from Russia. The media has been bold in pointing the finger of blame at ‘Russian Hackers’, bandying round claims that the attacks are state-sponsored and are the start of a cyber cold war. So is there any truth to these claims? A new report from the Department of Defense has a strong warning regarding artificial intelligence: the U.S. military is lagging behind and needs to take "immediate action" to catch up. Defense One examines the Defense Science Board's report titled "Autonomy," which makes recommendations for the U.S. government to step up its efforts regarding AI before America's enemies can outsmart us with the technology. "For years, it has been clear that certain countries could, and most likely would, develop the technology and expertise to use cyber and electronic warfare against U.S. forces," the study report reads. "Yet most of the U.S. effort focused on developing offensive cyber capabilities without commensurate attention to hardening U.S. systems against attacks from others. "Unfortunately, in both domains, that neglect has resulted in DoD spending large sums of money today to 'patch' systems against potential attacks." The study's authors argued that the current system of testing AI is "inadequate" and needs to be addressed. Artificial intelligence involves robots and other pieces of technology that can make decisions and take actions either on their own or with little human input. The technology is controversial in some circles, with some of the world's biggest brains calling an AI arms race among countries "a bad idea." Nothing focuses the mind like fear. What’s focusing the minds of U.S. Army leaders right now is the fear that they will be in a major war within five years. They know they’ll be fighting terrorists and insurgents for the foreseeable future, but what really preoccupies them is the likely return of large-scale conventional conflict — maybe with Russia in Eastern Europe, or Iran in the Middle East, or North Korea in Northeast Asia. Maybe in all three places. Senior Army officials are circumspect about discussing the danger in open forums — they don’t want to advertise U.S. vulnerabilities — but it seems clear that the Obama administration’s “pivot to the Pacific” announced in 2012 has created a geopolitical vacuum stretching from the Baltic Sea to the Persian Gulf that Russia and Iran are trying to fill. Meanwhile, the unpredictable government of North Korea continues its bellicose behavior toward the South, which the U.S. is pledged to defend. There isn’t much appetite for new wars in Washington, but U.S. leaders would have little choice if these countries sought to impose their will by force in neighboring nations. Whether aggression took the form of subversion or outright invasion, the U.S. would have to respond, because success for the attackers would drastically alter the global landscape to America’s detriment. It doesn’t take much imagination to see what it would mean if Russian forces were back in the heart of Europe, or Iran controlled most Middle East oil, or North Korea overran the South. Terrorist groups are turning a popular hobby item into a deadly strategic challenge. ​They’re cheap, they’re light, and they can carry a small bomb: The commercial drone is essentially a new terror gadget for organizations such as Hezbollah, Islamic State, or anyone else looking to wreak havoc on a budget. “That’s the same quad copter you can get on Groupon or go down to Sam’s Club and buy for $400,” U.S. Marine Corps Commandant General Robert Neller said last week at a Washington forum on future warfare. The elusive nature of small drones is one reason the federal government has designated the District of Columbia a “national defense airspace” and prohibited drone flights there. A recent spate of drone-related incidents, including one last year in which a drone crashed on the White House lawn, probably didn’t help, either. But the problem is no longer about enthusiasts with a bad sense of direction. Weaponized to various degrees of sophistication, such unmanned aerial vehicles (UAVs) are now being used in the Syrian civil war and along parts of Lebanese and Syrian borders with Israel, where Hezbollah holds sway.